The search for a Virginia mother who mysteriously disappeared on Tuesday from her front yard took a tragic twist today when her body was discovered near her home, authorities said. The Middlesex County Sheriff's Office said TerriLynn St. John's body was found about a mile from the Wake home, authorities told ABC station WRIC in Richmond. TerriLynn St. John, 23, was reported missing when she didn't show up for work, according to officials. Sheriff's officials also said a suspect, Alvin Keyser, was taken into custody and was being questioned about the St. John's death, according to WRIC. The body of St. John -- who had the letters "R.J.M." tattooed on her right wrist, a princess crown on her left wrist, and a cross on her ring finger -- was located about 9 a.m., authorities said. St. John, 23, was reported missing Tuesday morning when she didn't show up for work, according to officials. She was last heard from early that morning when her live-in boyfriend, Mac Kennard, kissed her goodbye about 4:30 a.m. before heading out to work oystering. "I wish I could trade places with her," Kennard told WRIC Wednesday night. St. John's father went to her Wake home after learning from his daughter's coworkers that she never made it to work, Maj. Michael Samson said at a news conference on Wednesday. "He went over there and he found the door open, saw the ch ildren were alone and subsequently called the sheriff's office," Samson said, adding that the children were not injured. 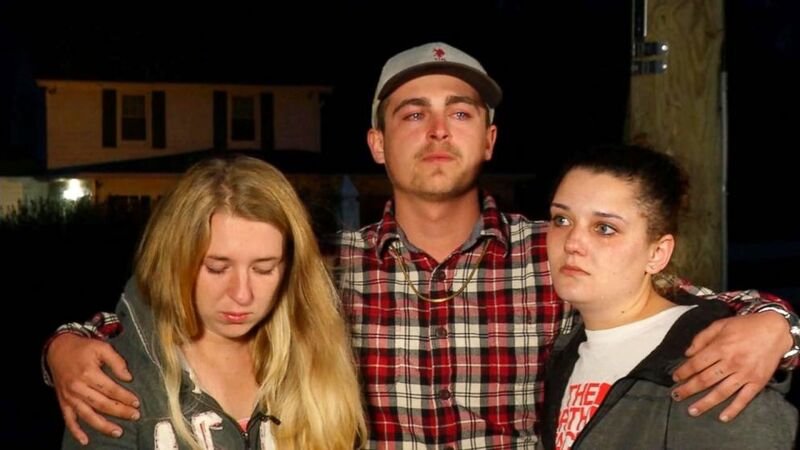 Maggie St. John, Wesley Moody and Shelby Rose speak about TerriLynn who was reported missing Feb. 27, 2018, when she didn't show up for work. St. John, who recently moved to Wake, had planned to drop her children, ages 2 and 3, off at daycare before heading to work, Samson said. Her car was found parked in the driveway. Deputies searched the property and discovered St. John's cell phone in bushes outside the house and a broken necklace in the yard of the home. He said investigators had interviewed several persons of interest, adding that each cooperated and submitted DNA samples, which are being analyzed in a crime lab. He declined to identify them. St. John's sister, Maggie, said she could not think of a reason anyone would want to hurt the missing woman. "She was a very lovable, fun, outgoing person and people were attracted to that," she told WRIC. 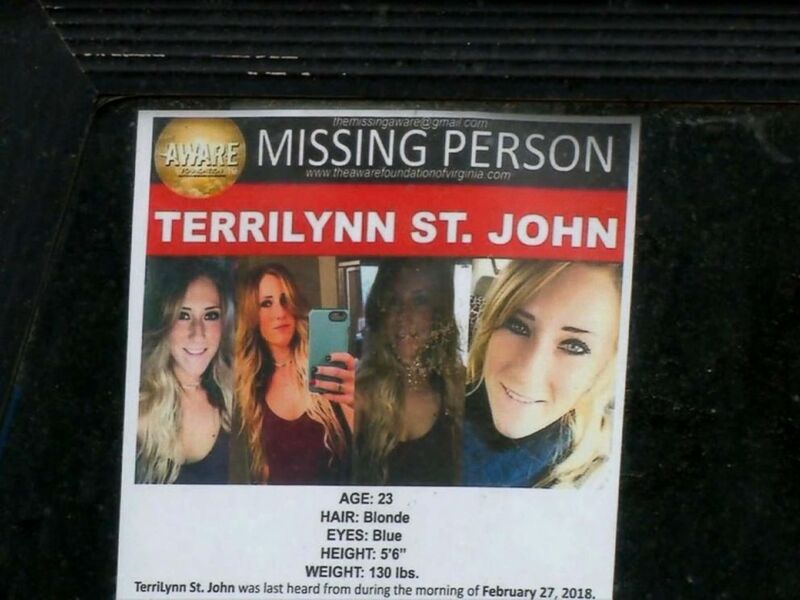 Speaking of TerriLynn St. John's disappearance Wednesday night, her close friend, Shelby Rose, said, "She did not deserve this. No family deserves to go through this."